The Indian Chinese Association: F E A R !!! Puzzled, I looked up at Chung. He first started getting these messages a year ago, he said, adding, “I think somehow he knows you’re visiting today, that’s why he’s sent so many this morning”—about 15 already. I had heard at least four beeps in the 15 minutes that had passed since I entered, and I’d hear many more before I left. All were in this vein. I had come to see Chung, a retired teacher and assistant principal of Don Bosco school in Liluah, to learn a little about the history of the Chinese community in Calcutta. The community took shape in the late 18th, but especially in the 19th and 20th centuries, when a small flood of people from China—the estimates usually are a few tens of thousands—came to India. Many were from around what was then Canton (now Guangzhou), and spoke either Cantonese or the Hakka language (thus the staple of Indian-Chinese cuisine, Hakka noodles). The early immigrants came because they saw British India as a prosperous land of opportunity; the later ones were often fleeing strife in China. They found work in the docks of Calcutta, or as carpenters for the railways there and further east, or in the tea gardens of Assam. The first in Chung’s family to come to India was his grandfather, a tailor in China who became a successful shoemaker and eventually had three shops in Calcutta. Chung and I spoke of many things: from the first Chinese man to settle in these parts, Tong Achi (variously written Tong Atchi and Tong Atchew) in 1780, to the continuing difficulties many Indian-Chinese face with passports and residence permits, a problem that has its roots in Chiang Kai-shek’s Kuomintang (KMT) rule in China. The status of those who left during KMT rule—fleeing the Chinese civil war of the 1920s and 1930s and arriving in India—was no longer recognised after Mao’s communists rose to power. These émigrés became “stateless Chinese”, Chung told me, a designation that applied to their descendants, too—like Chung himself. Though born in Tangra, Calcutta’s “Chinatown”, in 1940, Chung was officially stateless till 1998, which is when he got Indian citizenship. Others in the community are still stateless. Like 78-year-old Leong Young Lim, who first applied for Indian citizenship in 1962. She was rejected and must renew her residence permit every year, paying about R6000 each time. “It’s the ’62 fear psychosis,” Chung said about the Blackberry messages. Of all the fallouts of the internment of thousands of Indian-Chinese in a camp in Rajasthan in 1962—50 years ago—this very 21st-century barrage of strange text messages was absolutely the last one I might have expected. INDIA FOUGHT CHINA in a bitter, intense month-long war in October and November, 1962. By any measure, it was a heavy defeat for India. The catastrophe was a traumatic blow to Prime Minister Jawaharlal Nehru. His “Hindi-Chini bhai-bhai” visions gone up in smoke, Nehru died just a year-and-a-half later. In the Indian telling, it was a Chinese betrayal—India had signed off on the McMahon Line years earlier and believed China had too—and therefore a Chinese incursion. But there was plenty of anger at Indian leaders as well, for dispatching troops to snowbound frontlines without proper footwear or clothing. They were no match for the well-equipped Chinese juggernaut that rolled towards the Line that month. A hammer blow was delivered in a matter of weeks; done with their Chairman’s “reciprocity”, the Chinese withdrew to their pre-war positions. During the war, with the Chinese government widely seen as the great betrayers of Nehru’s trust, the Chinese living in India were soon painted as traitors conspiring to help defeat India. Large demonstrations against China were staged in various cities, during which Chinese restaurants—and generally any establishments with the word “Chinese” in their names—were vandalised. Kwai-Yun Li, herself an Indian of Chinese descent, put it this way in a Master’s thesis submitted to the University of Toronto: “The Indian government cast the Chinese government as the villain and a threat to India’s newly-found independence and Indian national security. By extension, the Chinese living in India were portrayed as villains too and not to be trusted. Whipped up by the national furor, mainstream Indians ostracized and sometimes brutalized Chinese residents and attacked and destroyed their homes and businesses.” This happened even though Indian-Chinese had publicly and vocally condemned the Chinese incursions. Although the Act didn’t specify them, it was clearly meant to refer to Indian-Chinese, especially, but not exclusively, those who were still not Indian citizens. The powers in the Act, and their implicit message, quickly filtered down to police officers in towns and even villages. Starting late that November, thousands of Indian-Chinese in places like Makum and Tinsukia in Assam, Kalimpong, Shillong and Calcutta heard knocks on their front doors. Yet the irony was that by the time the knocks came, the war was actually over: China unilaterally stopped firing and withdrew its forces on 21 November. However, the suspicion, and the perception of a grave external threat to the country, remained. Given the mood in the country, some Indian-Chinese had been expecting these knocks, but most had not. When they opened their doors, they found police officers standing there, men who ordered the families to collect some minimal belongings and report at the police station, or a large shed, or the nearby railway station. Soon after, these people were on a train, rattling westward. Several such trains operated over the next several months. The journey took the passengers to Deoli in Rajasthan (often spelled Devli), then little more than a camp on the edge of a desert. The camp actually has a long history, dating to the mid-1800s and British colonial times. During World War II, it was used to house prisoners of war—Italians, Germans and Japanese. Beginning in late 1962, roughly 3,000 Indian-Chinese were incarcerated in the Deoli camp, some for up to five years. In many cases families were ripped apart—a husband, for example, might have been sent to Deoli while his wife (often Indian) and children stayed behind. At different times in those years, some of these prisoners were deported to China on ships from Calcutta and Madras, an utterly misguided punishment to inflict on people who had spent all their lives (as had many of their parents and grandparents) in India. The last prisoners were released from the camp in 1967, nearly five years after they entered. Since 1980, the camp has belonged to the CISF (Central Industrial Security Force), which, among other things, carries out security checks at Indian airports. 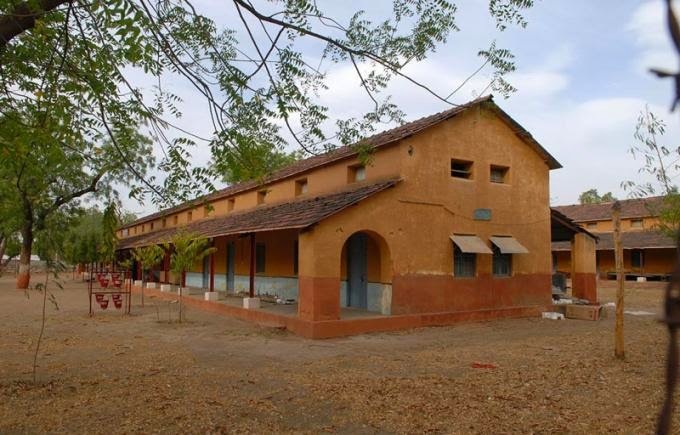 The CISF converted it into a training camp in 1984. Their website has a page detailing the camp’s intriguing history, on which you’ll find this line: “[After 1957] this camp was converted into a detention camp to accommodate about 3000 prisoners and was known as Chinese camp”—without any hint that these were Indian-Chinese, or why they were detained. I travelled to Deoli in late August, hoping to see the camp for myself. The permissions I had sought, and thought I had obtained, fell apart at the last minute. So while I was treated with undue deference at the CISF guest house, it was my gilded cage. Nobody was willing to let me into the camp. I had to content myself with glimpses from the gate: a long tree-lined boulevard, an open field with a target for shooting practice, groups of men in khaki shorts, brown canvas shoes and white vests. Even half a century after they were taken to this camp, many internees have vivid memories of the time they spent behind these gates. It was “like how you see in the movies”, said Monica Leong, who was 11 when she went to Deoli in 1962. “There were three layers of barbed [wired] high walls with gates.” The barbed wire reminded another internee of movies, too—he spoke of “entering a world from … Bridge on the River Kwai”. Leong remembers that each internee was given a number; hers was 808. An identity card was made for each internee as well, with this number and a photograph—even babies as young as three months were assigned cards. Wong-Hi Hoi, who was in his 40s during his two years in Deoli, always described the camp to his family as a “jail”. There was nothing much to do in the camp, though later a few young people began lessons for kids. But “they could only teach young children”, Michael Cheng wrote to me over email, “because their knowledge was limited and the only books they had to refer to were the ones they brought with them from their schools”. So it wasn’t much of a success: “A lot of classes were really redundant. A volunteer would do things like try to teach us the alphabet day after day for an entire year.” No wonder Cheng describes his time in camp as “a huge waste of youth”. Still, the camp guards, Wong-Hi Hoi’s son Chung-Wa told me, would regularly take kids, if not the adults, for short excursions outside the camp. Ming-Tung also formed an exercise group with four friends, “to keep our body and mind healthy”, he said. Better to stay that way, because the only medical facility he remembers in the camp was a “badly equipped hospital”. But the internees found other ways to keep healthy. Andy Hsieh recalled that many in the camp “believed in using baby urine to cure their ailments”, and so such urine became “a precious commodity”. Also valued were leaves from the neem trees that dotted the camp: Leong said they were used to treat “fevers, boils and other sicknesses”. Besides, the neem trees offered relief from Rajasthan’s desert heat, so oppressive for people used to far cooler lives. The summers in Deoli were so hot that John Wong remembers throwing water on the curtains to cool down the rooms they were housed in. Hou Chin Hsiu—who was actually an Indian citizen with an Indian passport—arrived in Deoli in March 1963, and wrote regularly about his camp experiences to his family in Calcutta. Only, the letters reached Calcutta with sentences and paragraphs censored. Not censored were his appeals for money, and his family managed to send him a few hundred rupees every now and then. He used the money to buy chickens, and built a small poultry farm in the camp. Their eggs, according to an account by Hou’s sons, were “highly valuable [and] presenting eggs to someone could quickly build useful alliances”. Walking back to the CISF guest house, I searched for Natalie and Sons. Hou Chin Hsiu and at least a few other internees make tantalising mention of this Deoli establishment—he bought his chickens there, while others bought cigars and assorted groceries. It was then situated just outside the gate, but nothing like it exists today. Just the usual shops you’d find in any small Indian town. Like Karishma Photo Studio, with “designing and back-to-back photography” painted in Devanagari on the entrance. I thought of entering and asking, “Were you once Natalie?” But better sense prevailed. Natalie must have been a boon to the 3,000 who spent years in this camp. The ordinariness of buying supplies there, I had to think from its mention in those otherwise melancholy and baffled accounts, was likely a moment of sanity in a world gone mad. The prisoners from the camp who were not deported to China eventually returned to where they came from, in Assam and elsewhere. There, most of them found that their once-flourishing Indian lives were in ruins. IF YOU WANDERED THE PARBATIYA AREA of the Assam tea garden town of Tinsukia in 1962, you may have run into Ho-Kok Mang, in his late teens at the time. Quite likely, you would have found him with his head deep in the innards of a truck at the garage his father had established in the colony, known to all as China Garage. Still in school at the time, Mang was already working at China Garage in his free time. His father had come over from China as one half of a young newlywed couple, his wife from Macau. Mang, though, was born in Tinsukia. He spoke to his father in Chinese, but he grew up speaking to his friends in Assamese. He was a young man in small-town India much like millions of other young men in small-town India. One day in late 1962, a police officer arrived at Mang’s family home. “The situation is not good,” the officer said, referring obliquely to the war with our giant neighbour. “For your own safety,” he said, “you should come with us.” Mang, his parents, his sister, two brothers and two older aunts with their husbands climbed aboard a bus, along with another Tinsukia family, and were taken to Dibrugarh. They spent a couple of days in a jail there, and then they climbed aboard the metre-gauge train that started rattling west. It carried thousands like Mang. I actually heard Mang’s story of the journey to Deoli from his son, Mankhee. We sat in the neat home he shares with his father just behind China Garage, which Mankhee now runs. To my right was a case with a minor collection of teddy bears, all in plastic covers. The walls had several canvases painted by Mankhee: a tea-garden girl, a pair of cranes, and one of tennis star Steffi Graf. For seven days the cargo of Indian-Chinese, Mang among them, rattled through the North Indian plains. It eventually unloaded them in Kota, from where buses took them another few hours northwest to Deoli. Also on one of the earliest trains to Kota was Dr Lohit Konwar. Today a homeopath in the poky Parbatiya clinic where I visited him, in 1962 Konwar was a 23-year-old allopath at the Assam Medical College in Dibrugarh, his first job. In November that year, with a border war raging only several dozen miles away, he was approached by police authorities who spoke of needing him for an “emergency”. In a week, he was told, a crowded train would leave Assam on a week-long journey. Where it was going and who the passengers were, nobody told Konwar, though they did say it would be cold and he should bring a blanket. They also said they needed a doctor on board, or more correctly a team of doctors, to attend to any complaints en route. The young Konwar jumped at the chance, seeing it as an exciting challenge, just the kind of thing to take on early in a career. After they boarded in Dibrugarh, Konwar and his colleagues were given basic medical kits. The train then went east to pick up passengers from the tiny town of Makum, then west through towns like Tinsukia, Dibrugarh and Chaparmukh, picking up more passengers each time. On the first morning of the train ride, wrote an internee named Wong Ying Sheng, “the prisoners had trouble with the bathroom. With so many people, there were long lines and not everyone could wait.” Luckily, that irksome situation got sorted out in a day or two. The train usually stopped just outside a station—rarely on the platform, for fear of attracting hostile attention. Even so, there were times when large and angry crowds threw stones at the passing train, shouting “Chinese, go back!” Once, according to one internee, the crowd came “armed with spears, sticks, spades, shovels and even sandals”. Word of the train and its cargo, clearly, was chugging along the tracks just a bit faster than the train itself. But many of the Indian-Chinese, frantic with worry, braved the guards to ask the doctors whenever they could: where are they taking us? What will they do with us? Will they kill us? Besides that anxiety, there was one emergency on the journey that Konwar remembers—the birth of a child. Otherwise, they treated only minor problems—headaches, colds and the like. “So this wasn’t like the Nazis,” Konwar said, heading off any possible comparisons I might make to the most notorious human-shipments-by-train in living memory. “That they sent doctors along with the train shows that India has some humanity.” Six doctors, underlining Indian humanity on that train. When they reached Kota, the doctors spent two days in a camp there. Then the same train brought them back to Assam. They never saw most of those Chinese-looking people again. WALKING EAST ON THE MAIN ROAD through Tinsukia, you pass the railway station and come to a major junction where you turn south, and then east again after about 100 metres. That 100-metre stretch is Tinsukia’s “China Patty” (pronounced “cheena patty”, it probably translates best as “China ’Hood”), where the town’s Indian-Chinese were to be found, pre-1962. It must say something of their influence on these parts that the area is called that even today. The name is painted on the boards of a couple of hole-in-the-wall workshops along the road there, one of which is “Dilip Electrical Works”. The only real present-day reminder of Tinsukia’s Chinese history is John Wong’s Hong Kong restaurant, on the left just after you turn south, a dim establishment that has clearly seen better times. Wong himself, a stocky and somewhat sad-looking man in his late 50s, was at the Deoli camp with his family. In 1962 his father, Wong Ssu Chin, ran the Lee-Hing saw mill in Tinsukia. It was a successful business that owned “fourteen GMC vehicles and six elephants”, Wong (junior) told me as we munched on some excellent hot noodles. These brought timber from the forests to the mill, where it was processed into sleepers for the railway. This man, his wife and their three children likely rode to the Deoli prison camp in Rajasthan atop sleepers that he had himself supplied to the railway. The irony may not have struck Wong, though: his most vivid memories of the journey are of his father brushing his teeth and hanging his wet vest in the window to dry. One year after reaching Deoli, Wong lost his five-year-old sister to chicken pox. (“Three days of fever,” he told me. “Her skin turned black, and there was no doctor service.”) In 1966, the family was released from Deoli and returned to Tinsukia. They did not have the 25 paise rickshaw fare to get from the station to China Patty. His father and the rickshaw-driver were just getting into a fight when someone stepped in and paid the fare. There was worse to come, they found. All the machinery had been stolen from their mill. Various people had appropriated the cars. One elephant, they heard, had died. Another had lumbered away. Nobody could say what had happened to the rest. “The people who had property, like us,” Wong said to me in Hindi over noodles in his restaurant, “had been broken. We had to sleep on the verandah of our old house for a month”—tears welled up in his large eyes—“because nobody would give us the key.” John Wong’s family had been in India for generations. But their home had been seized and sealed, as “enemy property”. The truth is, they were finished in 1962. Wong told me what his father would say about their life before Deoli: “I used to have tiger heads in my pocket,” referring to the R100 notes of the time that prominently featured the Ashok pillar. After 1962, he said, “everything was ‘barbadi’ (destruction)”. Hong Kong restaurant. Later, Wong’s wife and two sisters would open the three beauty parlours that now flank the restaurant. 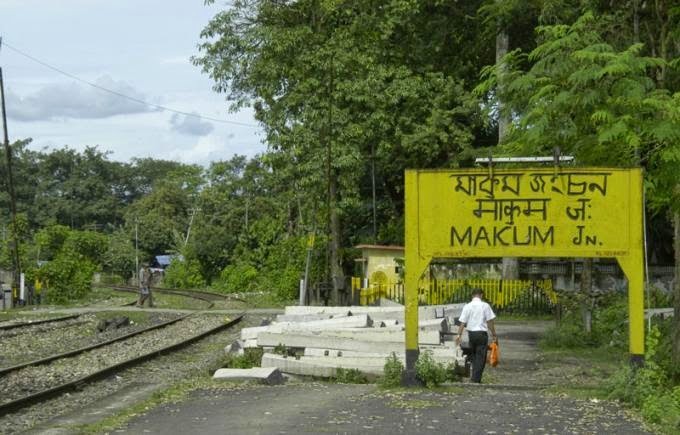 Ten km east of Tinsukia, along a road that runs parallel to the railway track, is Makum. In some sense, Makum most symbolises the events of that November. Like in Tinsukia, only a few families returned here from Deoli. Roughly the easternmost outpost of the campaign to round up Indian-Chinese, it was where the first loads of bewildered passengers boarded the train going west. Makum was home to a few thousand of them in 1962, and in every account I heard, people from Makum formed the majority of the prisoners in Deoli. 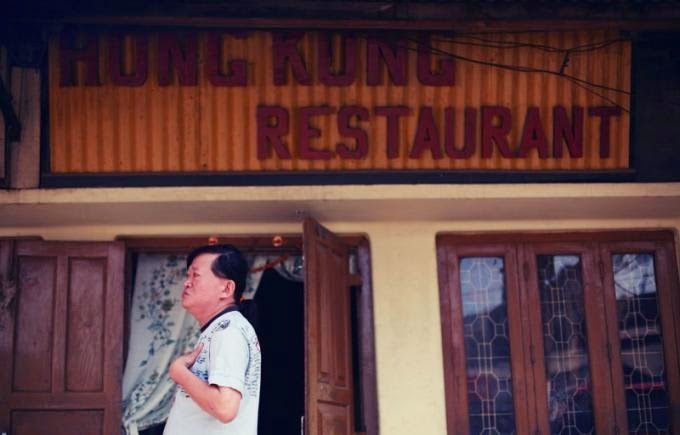 Before the war, Wong told me, “Makum was like a Chinese town.” There was a Chinese Club which attracted people “from all over Assam” every Sunday. They came to dance, swim, play checkers and mahjong, and there was always a pork barbecue. There was a Chinese school, its porch framed by a large curved arch with Chinese letters on it, and Chinese restaurants and shoe shops. In other words, just like in Tinsukia, there was a China Patty here too. Shorn of regular members after the war, no longer a venue for Sunday festivities, the club was eventually turned into the local police station, which it remained for many years. Not long ago, the police abandoned it for a newer facility about half a kilometre away. It is now being transformed into a tile factory. 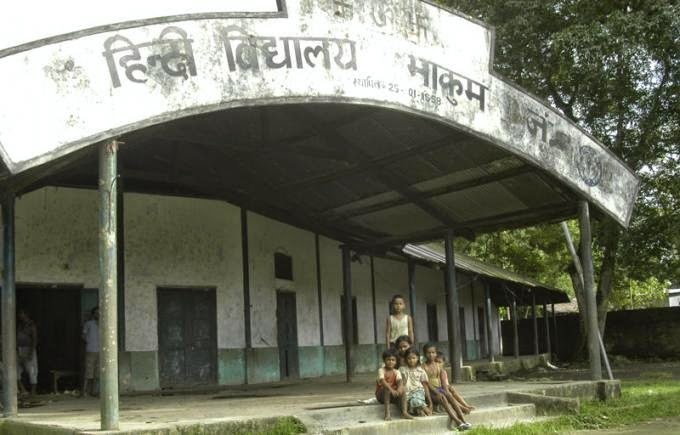 The school in Makum still exists—or some vestige of it does. Only, the classrooms were filled with broken furniture when I visited. The same large curved arch is still there too, only it now has Devanagari letters on it, and they say: “Hindi School Makum Jn” and, inexplicably, “Established 25-01-1958”. According to everyone I asked in Makum—those who could remember—it was a Chinese school before 1962. Across the tracks from the Makum school is CM Ho and Company. Born in Makum in 1937, and thus as Indian as anybody else there, CM Ho was known to all by his nickname, Aman (‘Peace’). He was a young engineer about to get married when he was sent to Deoli in 1962. He ran a small informal school for the kids in the camp. After three years there, his siblings, also in the camp, chose to leave for China. But Ho stayed on. Another two years later, he was released from the camp and decided to return to Makum. After all, he had his engineering skills, he had R100 in his pocket, he had a bit of land there, and there was a young woman who had waited all those years to marry him. Why would he “go back” to China, a land he didn’t know? In Makum again, Ho started a business manufacturing equipment for the tea industry, a good choice in a region where, if you throw a stone, there’s a good chance it will land amid lush green tea bushes. “He was bitter about Deoli,” said his son Willie, who took over the company after Ho died at 61 in 1997, “and spoke very little about it.” Though he did say enough that Willie has an idea of what life was like in the camp. Instead of letting himself be consumed by that bitterness, Ho focused on his business. Today, CM Ho & Co is a prominent Assam firm, with offices in Guwahati and Kolkata besides Makum. Going by the way Indian-Chinese speak of it, it must be one of the most successful of post-Deoli Indian-Chinese enterprises. Not that there’s a whole lot of competition. 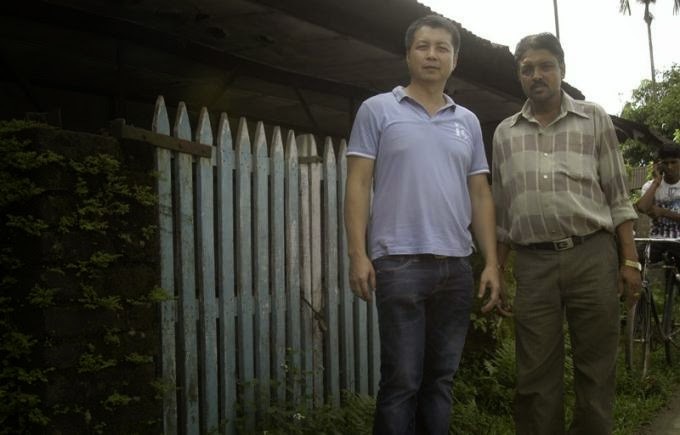 A CM Ho employee took me on a tour of Makum’s once-Chinese neighbourhoods where we stumbled upon a long shed-like house that was once occupied by a Chinese family. Locked now, its front door had “JN Singh” scrawled on it, but no sign of this Singh. A man nearby shook his head when I asked who and where Singh was, yanking hard on a rope attached to a cow invisible in the undergrowth. Elsewhere, we found an abandoned house, pigeon droppings everywhere, windows broken so we could peer in, the panels of the false ceiling crumbling. A calendar on one wall advertised “Eve’s Beauty Parlour”—one of the three that flank John Wong’s Hong Kong restaurant in Tinsukia. Outside, a lone rooster scrabbled in the dirt, struggling against the rope that anchored one of its legs to a protruding nail. There was nobody around to ask this time. And not far from the once-Chinese Club was a large double-storeyed edifice with beautifully carved eaves—the bits of it that were intact, at any rate. The brickwork was exposed and mouldy, the lower windows boarded up while the upper ones yawned open. “Used to be a restaurant,” my guide explained. The long overgrown road we took, the one that runs beside and behind the school, is still marked with the name “Chinapatty Road” on Google Maps. Nearly the only memory of a Chinese past in Makum that’s still intact. DR KONWAR’S SON, 40-year-old Pradeep, sat down to talk after his father left his clinic to run an errand. “You know,” he said, “I didn’t even know all this about my father”—that he had been a doctor on one of those trains in 1962—“till last year!” That was when “Papa read Rita Choudhury’s book”, he added. Makum is a novel about the events of 1962. 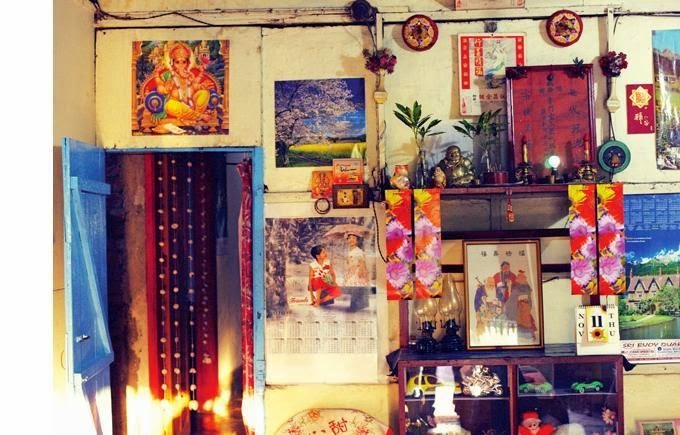 Choudhury, a celebrated Assamese writer, remembers visiting the town while growing up—she was a young girl in 1962—and hearing occasional mention of the near-disappearance of the local Indian-Chinese. Her novel is one of the first real attempts in 50 years to tell the story of what happened to Assam’s Chinese-origin people. Though a fictional love story, it underlines how Chinese immigrants became an integral part of Assamese society over the years, and how the Deoli experience tore apart those ties. When her book was published in 2010, a series of letters appeared in the Assamese press, attacking her. What’s to prevent China from invading again, they asked. Of course the Chinese had to be put in detention, they said. For criticising what happened in 1962, they pronounced, Choudhury is anti-Assam and anti-India. How could she write a book like this? Clearly, the 1962 fear extends to some Assamese letter-writers too. stories to tell about them, many of which don’t feature in her book. Like the Bodo woman she met in Hong Kong, the wife of a deported Chinese man; her memory was gone, but she asked Choudhury for some joha rice, the aromatic variety grown mainly in Assam. When Choudhury returned home and sent her some, the woman said her memory miraculously returned. She remembered the name of her village and while she could not visit, her grandson travelled there from Hong Kong. Having found some vicarious peace with that journey, she died. Or there’s the man born of an Assamese mother and Chinese father, who was deported to China after Deoli, but without his own Assamese wife and children. At one point, he moved to Hong Kong. Now financially secure, he wrote to his family, asking them to join him there. Only, the children were grown up and didn’t want to leave Assam. Neither did his wife. He committed suicide. How many more tragedies, large and small, were spawned by that sudden train ride in 1962? Choudhury herself knows of several. Yet she believes her book—a bestseller in the state—has made a difference in attitudes. “The Assamese now feel more positive towards these people,” she said. Just so did Dr Konwar first mention to his family—nearly 50 years after it happened—his sudden train ride in 1962. FROM DEOLI, many Indian-Chinese were deported to China, from where some later went to Hong Kong. Of those who returned to their hometowns in India, too, many ended up migrating—to Hong Kong, Australia, Canada and the US. Still, a few from a younger generation who are intrigued by their parents’ tales from an Indian concentration camp—but not burdened by the fear—are urging them to tell their stories now. The result is a still small, but growing swell of material about 1962. There’s a blog run by Yeeva Cheng, daughter of a camp survivor, called “The Deoli Diaries: A Safe Haven for Ex-Internees and their Stories”. There’s the earlier-mentioned Master’s thesis by Kwai-Yun Li, “Deoli Camp: An Oral History of Chinese Indians from 1962 to 1966”. There’s a North America-based organisation called the Association of India Deoli Camp Internees 1962 (AIDCI), complete with its own website, Facebook page and annual meetings. Its goal is something that’s been almost unthinkable all these years: to “pressur[e] the Indian government for a formal apology to the Chinese-Indian citizens and an acknowledgment of the 1962 internment”. Whether they get that apology or not—they certainly deserve it—the stories that are now emerging are a historical record in their own right, accounts of another time that are mixed forever with sadness and bewilderment. In Wong Ying Sheng’s account on Yeeva Cheng’s blog, for example, we hear of a riot in the Deoli camp sometime in 1963. Ying Sheng was one of 30 internees accused of starting it, all of whom were confined to one small room as punishment. He remembers a man sitting beside him there who had a “very prominent and distinct beard”. This man said he had heard the guards speak of him, saying “the bearded man is a troublemaker”. Terrified of further punishment, “he begged Ying Sheng to help pull out the hairs of his beard so that the next time the soldiers came, they wouldn’t recognise him”. Ying and the man spent an entire night at this task, made difficult by “the sweat from the man’s face and from [Ying’s] own fingers”. By morning, the man was beard-free and looked different. The guards, though, never did come for him. IT’S WORTH REMEMBERING that India is not the only country to have acted like this during a war. A month before my trip to Tinsukia and Makum, as I was visiting my sister in suburban California, I went for a walk one crisp evening. Within 15 minutes, I found myself threading a small alley to emerge on what was a visibly recent housing development: more than a dozen houses on an “L”-shaped cul de sac formed by Marilyn Drive and Satake Court. A few residents were outside, chatting. In December of 1941 husband and wife Shinajiro and Shimano purchased approximately 60 acres on this site … Their intent was to continue the family business that they had started by leasing property in midtown Palo Alto. Unfortunately, the plan was sidetracked by World War II. The Satakes, like all people of Japanese ancestry in California, Washington and Oregon, citizens or not, were required to relocate to inland areas. Executive Order 9066, signed by President Franklin Roosevelt in February of 1942, resulted in the family voluntarily leaving California shortly thereafter.… The majority of the Japanese-American local population was involuntarily relocated later that spring, to temporary camps and later to internment camps built to house them. [The Satakes were] able to return to the property in the spring of 1945. … In early 2006 the Satake Family decided … to purchase the property and develop a community of quality single family homes. The first homes in ‘Satake Estates’ were finished and ready to occupy in the spring of 2010. What India did to Indian-Chinese when war broke out in 1962, the US did to Japanese-Americans two decades earlier, when war broke out between those countries. “Involuntarily relocated” describes exactly what happened to CM Ho, to John Wong and his father, and so many others in Assam and West Bengal, just as it describes what happened to “all people of Japanese ancestry” in three American states. For no reason apart from their looks, Japanese-Americans suffered greatly in those years, incarcerated in detention camps. For no reason apart from their looks, Indian-Chinese suffered greatly too in the 1960s, incarcerated in the Deoli camp. They too were “able to return” to the property they had left behind in 1962. Only, many of them found their property had been vandalised, stolen, usurped. Some found their elephants gone. But on this street corner in California, a plaque remembers a dreadful moment in American history. The shame was eventually so great that in 1988, President Ronald Reagan explicitly acknowledged it and apologised on behalf of his country to his Japanese-American fellow-citizens. The Indian memory of what we did to 3,000 countrymen in 1962 remains an empty hole. IN PAUL CHUNG’S HOME, the Blackberry beeped again just as I got up to leave. He handed it to me to read: “Now a days I am getting weak and weak after fighting continuously for 40 years torture, etc. I’m jobless no money I dnt knw wht will happen to me.